Swiss Chard – Try this in a frittata for a simple summer supper. With a Lettuce salad on the side, of course! Zucchini – I’m loving this with pasta right now. Or in place of pasta? Your choice! Parsley – Love the fresh flavor with bean salads and cukes! Scallions – Try the recipe this week for grilled scallions. 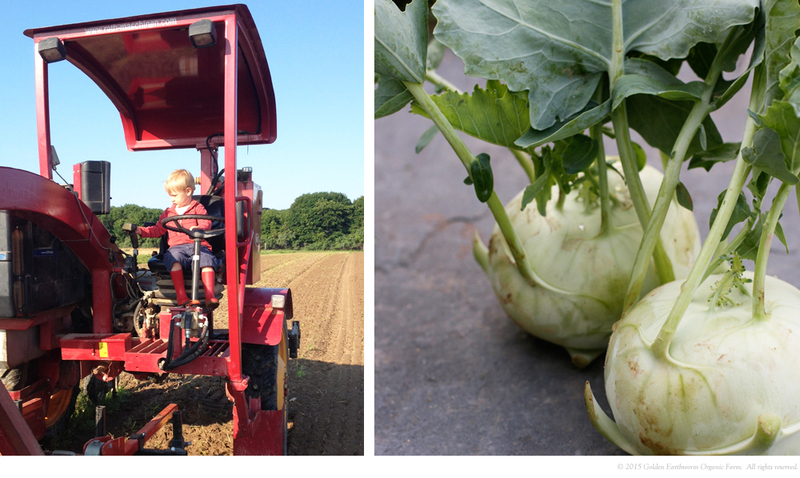 Kohlrabi – A perfect summer appetizer when peeled and sprinkled with sea salt. Basil – Whip up another batch of pesto this week. It freezes like a dream! Cucumbers – Bring on the sliced cukes! Beets – Roast them and serve in a room-temperature salad. Try this week’s recipe. Please remember to only take fruit if you have already registered, paid and it says “FRUIT” next to your name on the check-in sheet.